PAUL Paraka, the lawyer at the centre of the Opposition’s move to oust Prime Minister Peter O’Neill today, registered his Grass Roots United Front Party yesterday. Paraka is implicated with O’Neill and others in an alleged K71 million payment for providing bogus legal services to the State. The Opposition has accused O’Neill of avoiding the law by refusing to be questioned by police over the Paraka payment. Paraka dismissed the political power play and said he was contesting the 2017 general elections because he wanted the rural people to get government services that had been missing since independence. “I am not worried about these issues,” he told The National yesterday. “I started and grew Paraka Lawyers in 1994 when I was 26 years old from nothing to the biggest law firm in PNG through sheer hard work and God-given intelligence. “I have been a victim of political madness and insanity but the truth will be at the end. “I and the law firm that I worked so hard to build, which provided jobs for more than 30,000 young men and women over the years, have been hurt and victimised by bad political leadership and bad political decisions. “We have been victims of politics of destruction. “It is the very same force that destroyed the dreams and aspirations of many Papua New Guineans and all the grassroots population in PNG. 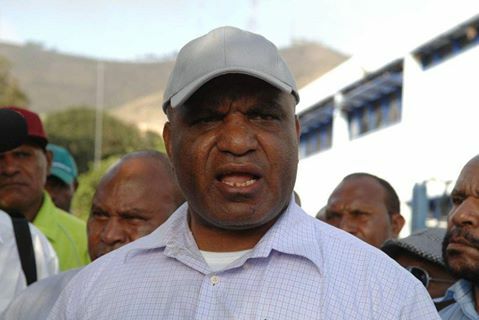 “I have been hurt, Paraka Lawyers has been hurt, the grassroots of PNG have been hurt and became victims of bad political leadership over the years. I will now swap the comfort of a legal career with that of a grassroots leader for the 10 million grassroots population of PNG. “I want to be part of a solution of their pain, sufferings and struggles. “I will now call upon the grassroots of PNG for reason and judgment. They will judge me whether I am worthy of leading them and fighting for their cause. “Ultimately it’s them who will judge and choose.” Paraka said he would travel throughout the country for the next eight months to conduct awareness on his GRUF Party’s policies and platform. Paraka received his party’s registration certificate from Integrity of Political Parties and Candidates Commission Registrar Dr Alphones Gelu. Paraka is one of the country’s most successful barristers. He attended the University of PNG, University of California in Berkeley, USA and Oxford University in the UK.